Wonder of wonders, my office is really and truly ALMOST clean! I'm SO close! Seriously! I mean it! So y'all have to keep after me to make sure I cross the finish line on this job. If I do, I'll share pictures in which you can actually see the floor!!! and we'll have some sort of fun and fabulous party to celebrate! There will most likely be chocolate and presents involved, so it's in all of our best interest if I get this done! Speaking of chocolate, it's supposed to be 92 degrees today, so I'm thinking we'd like something frosty and delightful. Shall we have chocolate milkshake this morning? Now, while you are sipping that delicious, chocolatey, ice-cold yumminess, let's have a look at this month's Straight From The Editor. Basil never seems to collect enough pollen and nectar, and his mother thinks it’s because he goofs off too much. But Basil knows it’s because of Mrs. Grady’s rotten cat -- and that new hairy beast that just moved in! Basil must hatch the perfect plan to outsmart the beast so he can finally fill his bucket to the top. This still bothers me, because what about the cat? Does he have to outwit both of them? If not, you may need to delete the mention of the cat. Basil the bee! Love it! I think the pitch needs to be more precise. He hasn't dealt with the cat and now another beast is introduced. Also the bucket threw me. I guess the illustrations would show a honeybee with a bucket but it needs to be clearer in the pitch. And you can do it Susanna! You can clean that office until it causes you to faint with its overwhelming cleanliness lol!! I also like the name Basil, but in real life a male bee does not gather nectar or pollen. I'm coming from a teaching background and think young kids should know science facts and enjoy fantasy, but want the fantasy for this age group to blend with the science facts. My suggestion is to change the him to a her and then I'd vote Yes, but as is it's a Maybe for me. Kudos to Susanna for an almost organized office...must start on mine soon! I love this idea. I like the fact that the main character is a bee and it's about pollen, but it's not a science book; it's a story book with a plot based in natural science. I'm not sure I totally understand how the cat and the new unnamed pet are getting in the way of the bee, but maybe that will come with a reading of the book. I do concur with other commenters that even though this is not a science book, you should make sure you have your facts straight. I believe the bee should be a female (although maybe there are some species where a male collects pollen? I don't know). Bees obviously don't use a real "basket" to collect it, but some do have some basket-like contraptions on their bodies (in addition to just fur and hair that collects the stuff) as I understand--you could research that and find out if one of them would work for your purposes. But I do think it's okay to have a character bee carrying a basket; just wanted to point that out in case something else would work. Good luck! A piano in your office . . . I am so jealous! Our 22-year-old Knabe stayed with the last house we sold. I don't even have a keyboard here. Thanks for ruining my day . . .
Mmm . . . chocolate. And congrats on your office! Sound like you're making real progress. You should sit down at the piano and celebrate with a little "Happy days are here again . . . "
Hurray for an almost-clean office! :) As for the pitch, the story sounds really cute! My main concern was already noted--what's with the cat and the new creature? Is the new creature another cat? I'm thinking either the story needs to be simpler, meaning, get rid of one of the animals, or the pitch needs to be more precise. Good luck! Thanks for sharing. 1. the bees who do the work/collecting are females; so Basil ought to be a girl. 2. They collect pollen in baskets (actually on their legs, but people call them "pollen baskets" - unless Basil is a ground-nesting bee who just gets covered in pollen. 3. I can see collecting nectar in a bucket... and while guy bees (drones) don't collect nectar to bring back, they do slurp it up like - um - chocolate milkshakes. I also think maybe one garden bully (cat) or having the cat be a ringleader for a gang would be plenty. too many characters gets confusing. And since bee moms are called queens, I can totally see the bee refer to her mom as the queen mum. Thank you for your very helpful and thoughtful contribution, Renee! I'm sure Kathy will find it very useful! Thanks so much for your helpful input for Ms. Phillips, Erik! Thanks so much for your very thoughtful comments for Kathy, Wendy! I'm sure she will find them very helpful! I think I speak for everyone when I say, isn't it wonderful that we have so many well-edudated, smart, helpful people here to help with pitches?! I have learned a lot about bees today! Thanks so much for your input for Kathy, Sue! I am a maybe on this story. It is a cute one. I concur with the comments on trying to stay as true to the facts as possible without compromising story and character. As for the pitch it needs to be tighter and capture the essence of your story. Right now the pitch feels a little flat. I think Renee's suggestion is a good starting point. Good Luck. Susanna - yeah to getting your office clean! Thanks so much for chiming in for Kathy, Darshana! Hooray for a mostly cleaned office!! I love reading Erin Molta's comments, as usual. Even though they're not my pitches, I always learn something. I would read today's story because I adore nature-related stories (bees are a favorite), but as others have already pointed out, I do wonder about the bee being male and having a concerned mother since worker bees are female and the one queen doesn't really give a hoot about an individual worker (or drone) because there are hundreds in the hive. But even if I were to overlook that, it is confusing, as Renee had already pointed out, to have what seems like 2 separate (or maybe 3 separate) issues - not gathering enough pollen, dealing with the cat, and a new hairy beast. Now, I'm off to enjoy that nice, cold milkshake you offered! ;) Happy Wednesday, Susanna! This story is cute but I would take out the rhetorical question and give the bee a bit more character. Is he angry with the cat? Giggling about revenge? It sounds interesting. Erin rocks! Good luck, Rachel. Jealous that you got your stuff filed, Susanna - it's a BIG problem for me! Now to Kathy's pitch: I love bees and gardening, so you had me with the theme, but the pitch doesn't seem clear. For one, I would consider a name change to avoid confusion, though it is cute. In the title the conflict sounds like a threat to the plants, then it seems a matter of enough pollen, then maybe it's the cat, and further along it's another beast. So I would suggest focussing on the main conflict in the pitch, and tighten, whatever it may BEE! Bets of luck, Kathy! Oh boy, I need a pill to help correct my typos! The chocolate looks divine...thanks, Susanna! Glad the feedback on Rachel's story was so helpful...Erin gave her some great ideas! And I would definitely read Kathy's story...but agree that a couple of changes would probably be helpful...like changing Basil to a girl bee and clearing up the cat/hairy beast confusion. It's a really cute story concept! Kathy...we are moving to New Hampshire at the end of this month to live with our grandson and plan to do LOTS of fishing and hiking and nature stuff with him...where in Vermont are you? Looks like Kathy has plenty of comments which cover the same ground I would -so I'm going to sit back and have a virtual sip o'chocolate. Forget cleaning your office, Susanna, you make me feel inadequate. LOL. I'm a yes/maybe. Don't like your pitch opening with a question. It needs to be tighter and shorter. Your title hints at disaster which grabs the reader's attention, but I don't feel that in the pitch. Focus on the main conflict. Many have already given you good advice which cover what I was thinking. Good luck. Didn't know you played the piano Susanna. What do you play? And do you jam with your talented family? I have so much trouble with pitches/queries. When I wrote this story I only had a fun story in mind, but after sending this story to my crit group...Some of them thought it would be better suited to make it an "educational" type of story. Hello to all of you WONDERFUL People. When I wrote this story, I was thinking/the intention was to write it to be just a fun story. It never occurred to me to write it with factual information weaved through it. I wouldn't make it an educational book, and didn't mean to imply that. Your concept is adorable. Just call the bee a girl and keep the basic story line. Course you'd have to change the wonderful name of Basil, but use it elsewhere maybe? Been a while, so CONGRATS! New Grandbaby, hubby's music blowing up, choc milkshakes--all great things. Kathy, it sounds like a sweet story. I'd keep it fiction if you want it to be fiction, just with some verisimilitude. But mostly, I'd keep it simple: one central conflict, one antagonist, one to two sentences for the pitch. I am a maybe on this one. I think the pitch needs to be more succinct and there should probably only be one conflict in a book for very young children. I am also confused about how a cat or other creature can disrupt a bee. Good luck with this. OH my tummy! 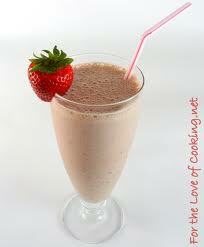 After the pumpkin roll I ate for breakfast and now the chocolate milk shake!ohhh! As for the pitch. I agree with the others. And you have a good pitch after taking all that advice. I think it is a cute idea for both fiction and non fiction. Maybe you have two books? I feel for Basil. One of our dogs ate cilantro yesterday and I had some explaining to do! I'm a yes. Is the problem the hairy beast or the cat? I think that needs to be clear, because I'm confused on which one really provides the conflict for Basil. As written, I don't feel like he's addressed the cat issue. Congrats on the clean office! Mine is a M-E-S-S! Sigh. Yep, I'd read it and agree with the mentioned fixes. I kind of like the idea of weaving bee facts into the story. Go, Vivian, go! I know how hard that process is, but you can do it! And what a reward in the end :) I'm sure your piano is glad not to be left behind :) Thanks for your helpful comments for Kathy! Thanks, Stacy! You're sweet to keep up! :) I hope you've been enjoying the end of summer and doing lots of fun stuff! Thanks so much for your comments for Kathy! Hey Susanna! Good job cleaning your office. You are ahead of me for sure. ;) Kathy, I like your pitch a lot. I think Basil is a darling name for a bee. So cute! I would recommend tightening the pitch to focus on the central problem. Right now you tell us (at least) three problems: trouble with his mother, trouble with the cat, and trouble with the new (undefined) beast. It's a little too much mystery for me. I want to know who and what to cheer for in a pitch. But this sounds like a wonderful story, and I would definitely keep reading. All the best!